This stunning picture book should be issued on prescription to all families where brothers or sisters below the age of six find themselves faced with the challenge of coping with the arrival of a new baby. 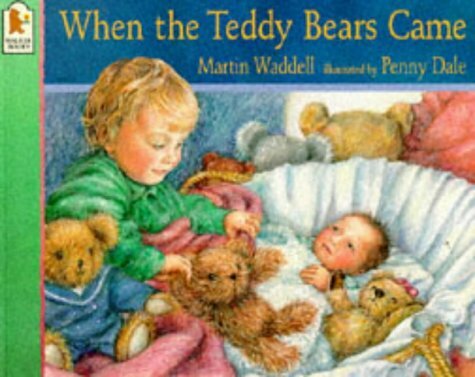 Penny Dale has teamed up successfully with Martin Waddell before in Once There Were Giants and Rosie's Babies. Her illustrations in this new book about how Tom copes with the additions to his family (a new baby and lots of teddy bears) are breathtaking in their sensitivity, matching a text which subtly reflects the mixed emotions of the older sibling. Unerring accuracy in choice of word and image has become the hallmark of Martin Waddell's picture book texts. The way in which children have gravitated towards this book is testimony to these two masters of their crafts who, between them, have created a very special magic.